Further casting for Glyndebourne Festival 2018 has been announced at the close of the 2017 Festival this weekend. Next summer Glyndebourne Festival 2018 will present its first production of Samuel Barber’s Pulitzer prize-winning opera Vanessa along with a new production of Claude Debussy’s Pelléas et Mélisande. The event opens with the Festival debut of Puccini’s Madama Butterfly and is completed by revivals of two Handel works – Giulio Cesare and Saul – and Strauss’s Der Rosenkavalier. Full casting for the Festival is released today. Seventeen singers will make their Glyndebourne debuts including German baritone Markus Brück, Austrian soprano Christina Gansch, American baritone John Chest, French mezzo-soprano Virginie Verrez and German mezzo-soprano Doris Soffel. Among the returning artists are established stars such as Sarah Connolly, Kate Royal, Christopher Purves, Allan Clayton, Iestyn Davies and Emma Bell. 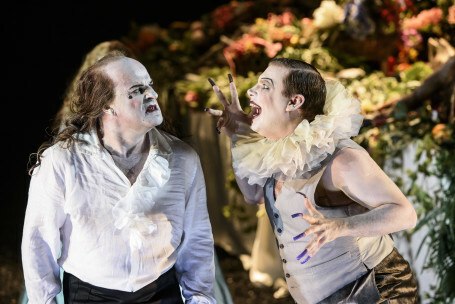 Glyndebourne Festival 2018 will run from 19 May – 26 August 2018. Festival 2018 promises to be a vocal and visual feast – the very best in world-class opera.